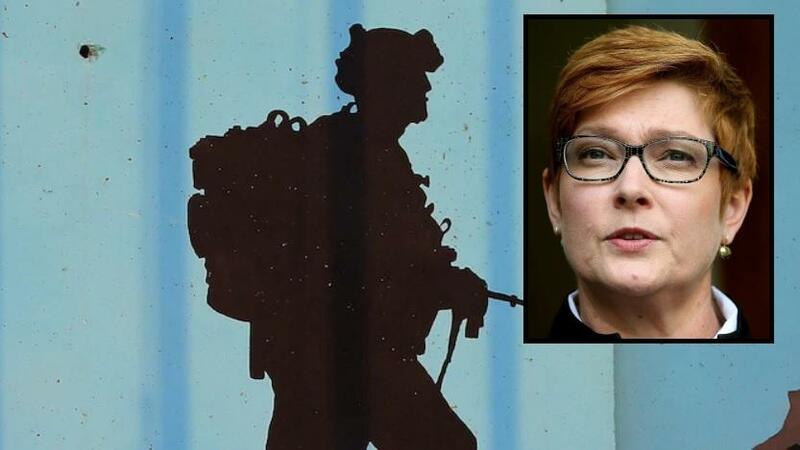 While accusations of war crimes are being levied against the Australian special forces, Defense Minister Marise Payne remains a staunch defender of the chaotic and complex work environments the government soldiers must work in. The government is simultaneously looking into claims that soldiers may have committed war crimes in Afghanistan. Fairfax Media published a confidential defense inquiry report that alleges misconduct occurred during special forces deployments to Afghanistan. The inquiry told of unsanctioned and illegal application of violence while on deployment as well as a blatant disregard for human life. The worst part of the report details an incident where an Australian special forces soldier allegedly kicked a handcuffed Afghan detainee off of a cliff. Ali Jan was a shepherd and father of seven children who had been rounded up during a search for a rogue Afghan National Army sergeant who killed three Australian soldiers. The report alleges that Jan was kicked off a cliff about a river bed by an Australian soldier and later executed. Senator Payne defended the special forces of Australia and reminded people that the operations troops engage in are complex, chaotic, and very dangerous environments. A statement from the senator said, "As Australians would expect, these allegations must be - and are being - thoroughly examined, independently from the chain of command." Payne also confirmed the inquiry into whether there was any wrongdoing was started in May 2016 at the request of the chief of the army and chief of the defense force. Foreign Minister Julie Bishop said, "I regard soldiers of the SAS as some of our finest. These are men who are prepared to put their life on the line in conflict situations to defend us and defend our freedoms." While Labor defense spokesman Richard Marles said, "Our soldiers, particularly our special forces, work in difficult and complex environments. It’s important that we know, as a country, that they’re doing it in a professional and legal way." I'll after kicking 1 off the cliff the other(s) started talking and providing all the info they needed. I would have ducttaped headphones to the guy that fell off the cliff and the song that would be playing as he fell would be "I believe I can fly"
I believe that liberalism is foolish: in a war, people should understand that the objective is to kill the enemy…And it should not matter how you do it. Yes, Killing the enemy must sound horrible, and yet, even worse is our liberal elite who seem to be out to kill us, They side with our enemy's instead of giving those enemies clear warning that if you mess with us in a war situation, we will kill you to protect ourselves. The fact that the other guy started talking proves that extreme interrogation tactics work and can save our lives. But it seems that the politically foolish liberal minded idiots would rather try to protect those who choose to go to war against us…….. Yes, Merkle and Obama must be very angry with this soldier, but as for me, I think we should have millions more like him and these silly wars would just stop because our enemies would not even dare to Mess with us. so, Australian troops were in Afghanistan WHY?…..
Because they were helping AMERICA invade an innocent country, commit war crimes, and murder hundreds of thousands of innocent men, women & children? these great creation will end in in nothing…just after death! Ever here of the Taliban? Ever hear of Osama Bin Ladin ? Ever hear of the 11 terrorist attacks and other attempts in Australia? Ever hear of ISIL - Holsworthy Barracks and others? Maybe you need to change channels. Send the lad to us here in America. We'll gladly give him amnesty. He can stay in my house for free until he gets situated. the Afghani's were just defending their homeland against yet another invasion of theirs. Bin Laden had NOTHING to do with 9/11 which was done by The CIA and BushCo….. remember building #7?